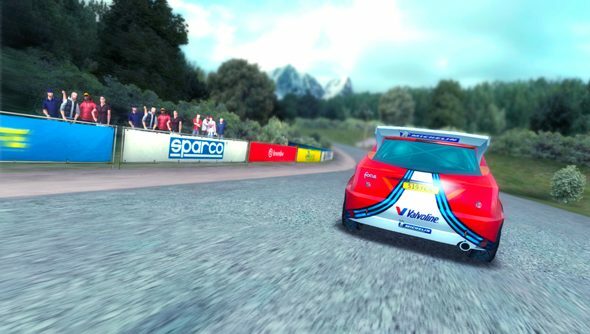 “This latest version of Colin McRae Rally is based on PlayStation One classic Colin McRae 2.0,” say Codemasters of the game that popped up on Steam yesterday. Hrrm. That’s a statement that requires a little unpacking. This Colin McRae Rally is based on the tilt-controlled mobile game that graced the App Store last year – which in turn is based on the PSOne highpoint of yore. It’s fair to assume Dirt 3 isn’t going to lose its place as one of the best racing games on PC. The new gamecosts £4.99, andis “based on content from” the multi-million selling Colin McRae Rally 2.0. In cold numbers, that means thirty rally stages, and more than 130km of delicious dirt. The trailer has the port looking agreeably bumpy, if worryingly untextured. Codies say the release came in response to “calls from you guys to bring that classic Colin gameplay back to more platforms”. But using a mobile game as a basis is a bewildering approach from a publisher who’ve shown they understand the desires of PC racers as recently as Grid Autosport. But hey: an App Store port worked for The Room devs, right?